Members of almost 50 groups rallied in Tallahassee on Wednesday, calling on the Legislature to authorize dental therapists in the Sunshine State. Earlier in the day, the James Madison Institute (JMI), a think tank supporting free market solutions based out of Tallahassee, released a report indicating that Florida is going to have a dental shortage in the years to come. Two legislators–state Sen. Jeff Brandes, R-St. Petersburg, and state Rep. Juan Alfonso Fernandez-Barquin, R-Miami–were alongside Floridians for Dental Access. Brandes and state Rep. Rene Plasencia, R-Orlando, “are filing legislation to authorize the use of dental therapists in the state of Florida to effectively expand access to high-quality dental care.” Fernandez-Barquin is backing the bill in the House. Dr. Temple Robinson, the chief executive officer of the Bond Community Health Center, Inc., made the case for why this is an important issue. 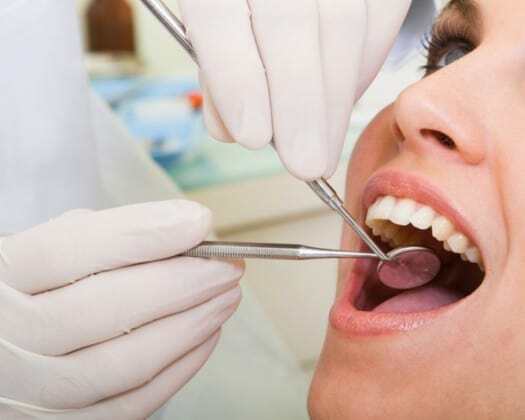 “With more than five million Floridians living in areas the federal government has reported face dentist shortages, the legislation would allow dentists to treat more patients by hiring dental therapists, similar to a physician assistant on a medical team, to provide cost-effective preventive and routine restorative care,” the group noted. “Additionally, to ensure the highest level of care, the legislation will mandate that dental therapists be trained according to national standards developed by the Commission on Dental Accreditation (CODA) – the accrediting body housed within the American Dental Association – that is recognized as the nationally accepted level of safety and quality. The legislation will also require students to graduate with a degree from a CODA accredited program or one that the Dental Board finds meets these same standards. “Under this policy, dental therapists, after training directly with their dentist for a certain amount of time, would then be able to practice under general supervision, meaning that, while dental therapists would be required to consult with the dentist overseeing them, the dentist would not have to be present while the dental therapist is treating patients. Importantly, practicing under general supervision would allow dental therapists to be sent to nursing homes, schools, facilities for people with disabilities, rural satellite clinics and other places serving people who face obstacles travelling to receive care. With a supervising dentist in a hub office, a dental therapist could seek guidance, when necessary, via phone, and share x-rays and patient records via telehealth technology. Additionally, under this policy, dentists would determine whether the dental therapists they supervise should have more restrictive supervision, or a smaller number of allowable procedures, than outlined in state law,” the group added.